Design and Procurement of a Traditional Entrance Hall. 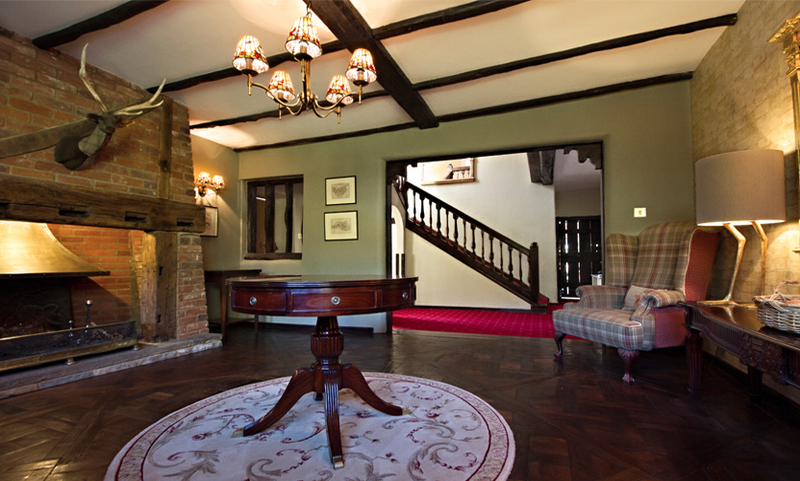 The brief was to design a traditional, country style Entrance Room in a large Grade II listed country manor house, but with a contemporary edge to suit a young family. It was essential that the interiors suited the style and age of the property as well as add an element of youthfulness. 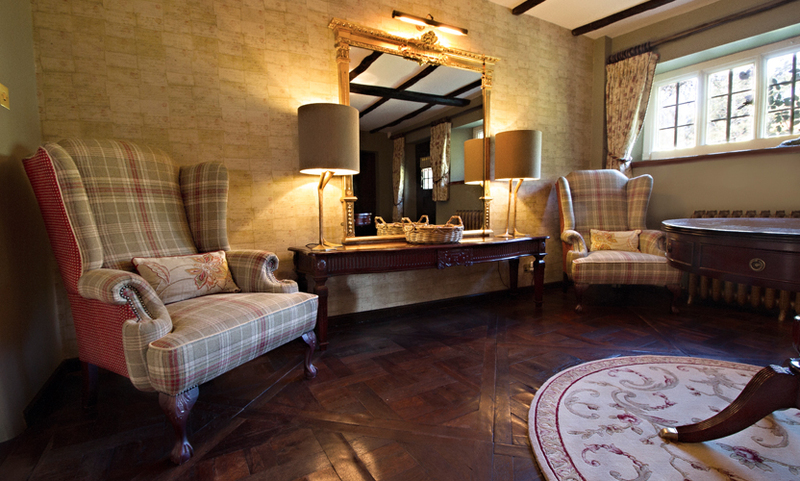 We retained the traditional side of the design by introducing antique mahogany tables, Tiffany ceiling and wall lights, an ornate burnished gold radiator, a round traditional patterned rug and traditional wing back arm chairs. 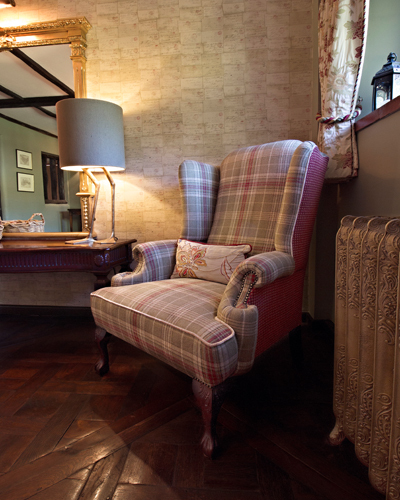 A bit of fun was added by using a bold tartan fabric on the chairs, with contrast fabric for the piping & back of the chairs to add a contemporary touch as well as tie in with the entrance hall carpet. A feature wall in Andrew Martin’s Love Letters Wall paper as well as Porta Romana’s gorgeous gold Duck Feet lamps added an element of playfulness and a nod to the beautiful large pond in the front of the property. 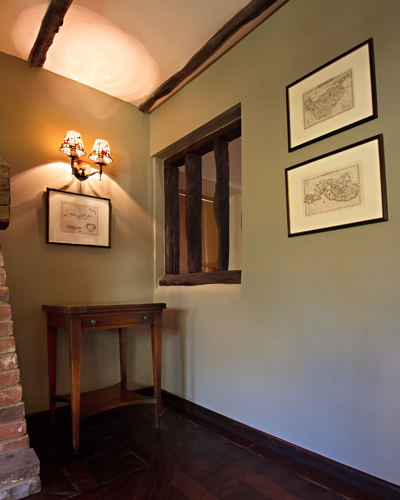 This created a traditional, yet youthful, Entrance Room to perfectly suit both the property and our clients.